What you see here is basically a rolling Black 1970 Challenger Convertible body shell, which comes with a few bits to get you started on its rebuild. It caught my eye as it’s not just a straightforward shell of a car, but looks like something in good condition that’s been accidentally sat on and kicked in the teeth. Beautiful paintwork (said to be ‘brand new base coat, clear coat that still needs to be wet sanded and buffed’) and comes with the original 8 3/4″ rear end, 14″ Magnum 500 wheels, bucket seats, rear bench seats and power top, minus cylinders and motor. Everything else is missing. The top has clearly been ‘squished’ in some way, but the rest of the body seems straight and solid. The sale seems to come with a few other bits, such as grille parts and door panels, but the big question here is how the top got crushed and has it affected the car in general? This would need to be found out directly from the seller. Hopefully, it’s just the convertible bits that need replacing as the rest of the body does look in good condition. 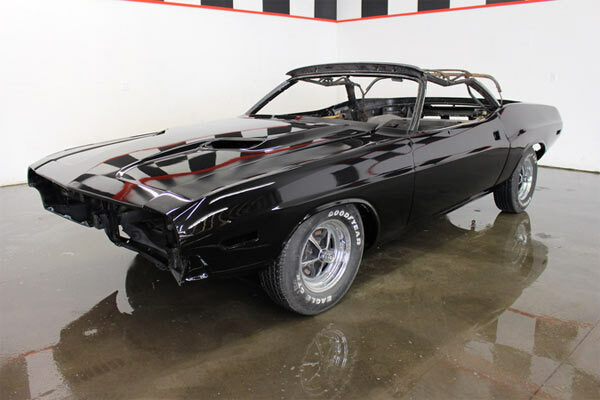 The car has no mention of any rare options, but a fully restored condition 1970 Dodge Challenger Convertible could be worth $50k+ depending on the engine being dropped in. 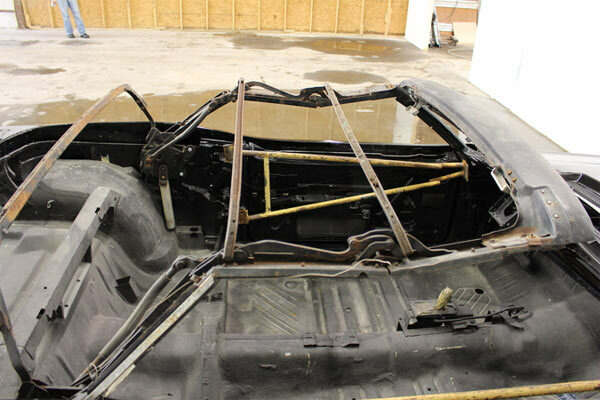 If the convertible top is the only affected that part of the car, then this may prove to be a worthwhile project.